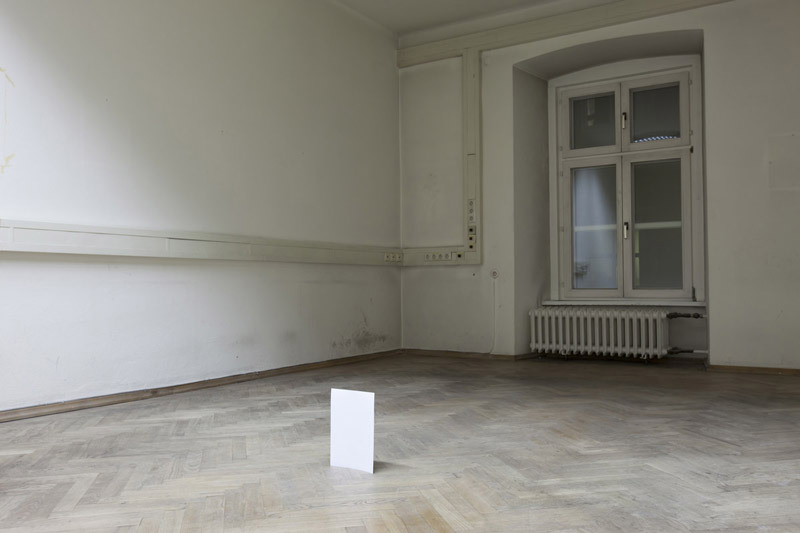 A group of A4 copy papers standing in an empty room. The performance artist Jianan Qu walks among them, as by the wind of his steps one paper falls after another… In this silent performance Qu offers the possibility to appreciate the character of a white A4 paper. The silent A4 multiple is a performative version of The silent A4 - the first fine art work of Jianan Qu. Since then the white A4 copy paper has repeatedly appeared in his sculptural and performance works.